Liverpool Glass was established in 1975 to help locals with their glazing and glass needs. From the beginning, the quality of products and service has been the company’s first and foremost consideration. For Liverpool Glass, it’s not about being cheap; it’s always been about offering safe, high grade products installed by a qualified tradesperson, and looking after clients, Sydney wide. When current owner, Jeff Gough, sold his successful transport business, he not only took over Liverpool Glass, he modernised it, fine-tuned it and finally turned it into what it is today – a well-known, smartly-run Sydney-wide glazier, highly respected by industry professionals and a trusted supplier to strata companies right through to mums and dads. ‘’Anyone can do cheap; not everyone can do quality,’’ Jeff said. Today, Liverpool Glass is a highly regarded and trusted business, with nine staff members and seven on-the-road vans, making it a leader in the Sydney glazing industry. men that attended her home and fitted the new glass. Liverpool Glass Company were very helpful. I was satisfied with the job they did for me. I will be recommending them to others. Liverpool Glass Company were awesome and prompt service. They were easy to deal with from start to finish. As far as I am concerned the service so far has been 10 out of 10. Good communication both by email and by telephone. The product is good, the installation was and the people are very pleasant. I would highly recommend Liverpool Glass Company for window tinting. I had contact with Glen and the office and found all parties courteous and very helpful. They were very helpful, informative, did the job very well and I would highly recommend them. I have never met anyone that could be so passionate about glass. 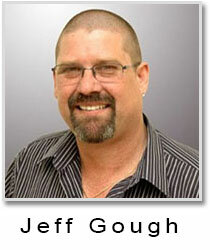 Jeff and his team have completed numerous residential jobs for me personally over the years.